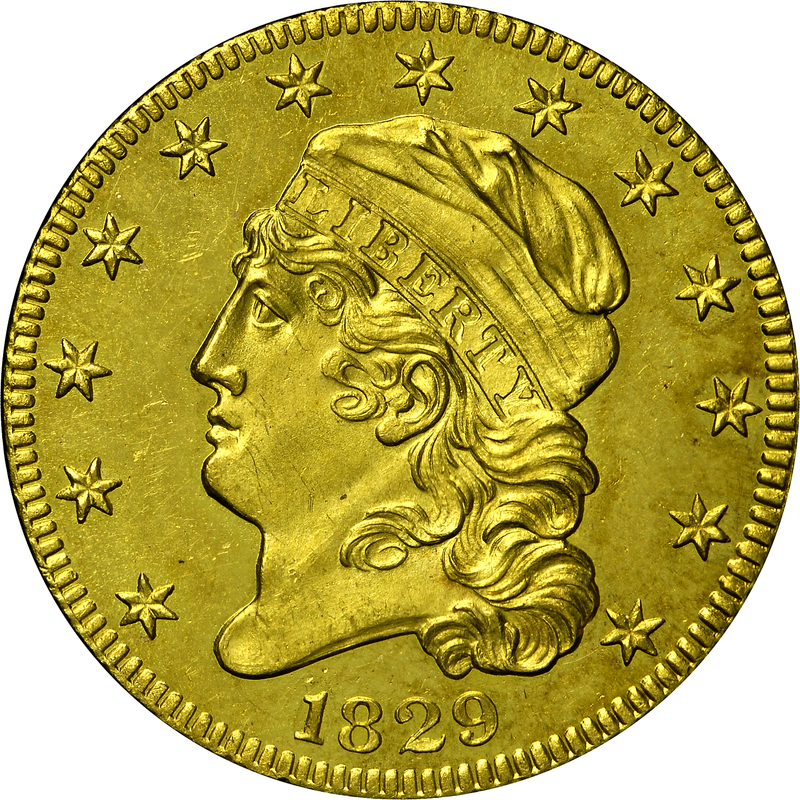 This 1829 half eagle represents the final issue of the “open collar” minting process developed since the beginning of the first Mint in 1793. 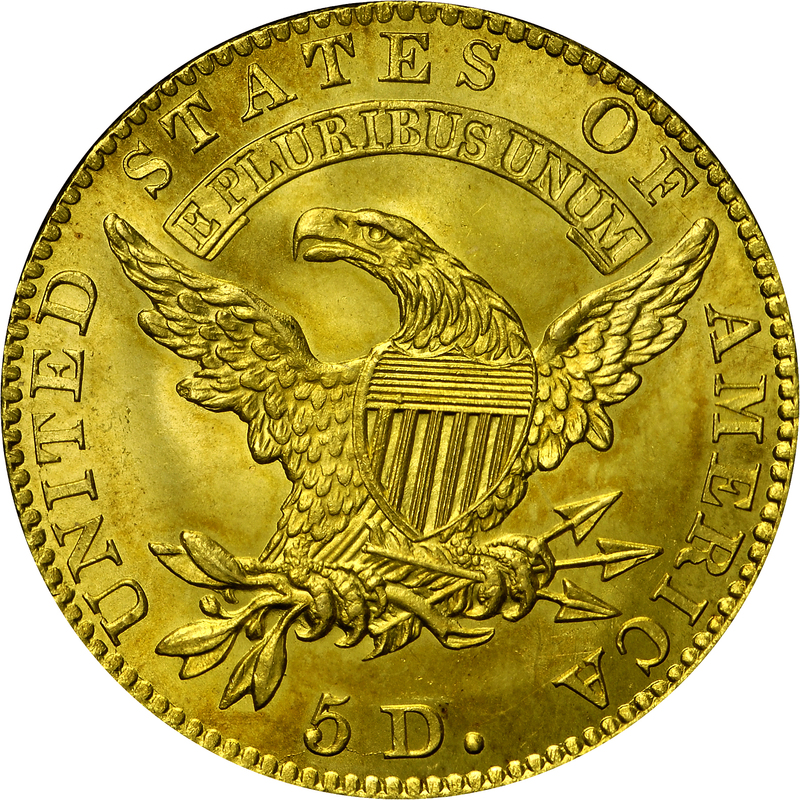 Considerable debate has occurred among numismatic scholars regarding the actual appearance and operation of this open collar. Original documentation has not been located describing this apparatus. This issue is an extreme rarity with just seven known according to Walter Breen’s estimates. 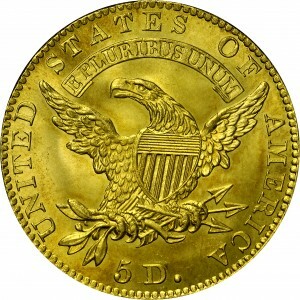 This is the finer of two examples acquired by Harry Bass, and was once owned by Virgil Brand, who reportedly acquired the coin from S.H. Chapman’s 1907 sale of the David S. Wilson Collection. From Superior's session of Auction '85, July 1985, Lot 941. Earlier from the Bowers and Merena Galleries sale of the Virgil Brand Collection, Part I, 1983, Lot 280. Earlier from S.H. Chapman's sale of the David S. Wilson Collection, 1907, Lot 79. "Obverse: Large date. Symmetrical 8. Curve-based 2. Large stars. Radial denticles. Reverse: That of 1828A. Small letters. Letters T and M even smaller than those of 1826A. Perfect T (no triangular punch in bottom of upright). S over E. T over R and space right. S centered over US. Base of E even with that of adjacent T. Perfect M. Large 5 D, spaced apart, 5 fairly close to leaf, top of 5 a bit higher than that of D. Large period. Small die center punch lump in upper shield. Surfaces between lower shield stripes less rough. Crack edge - knob of 5 - base of D. Not clashed. Lapped."